I love trying new recipes. I love cooking for people. And I love drinking cider. 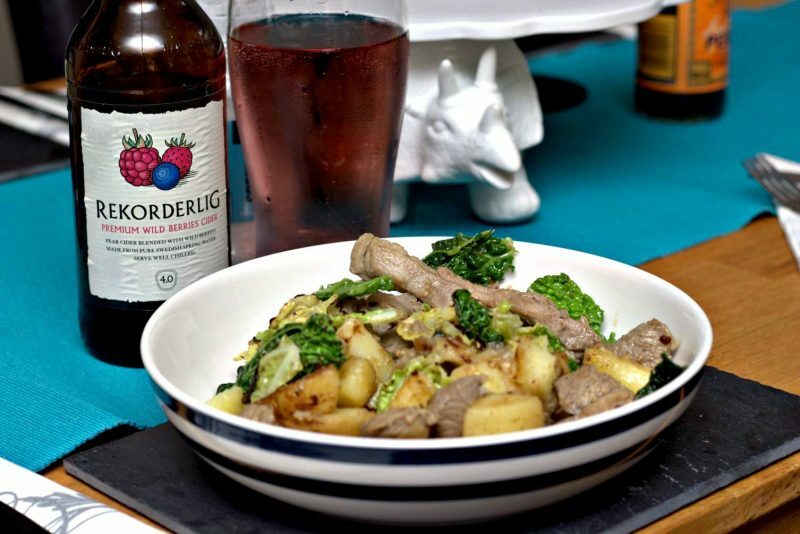 So when Rekorderlig Cider asked me to host a Scandinavian style dinner party I was all for it. 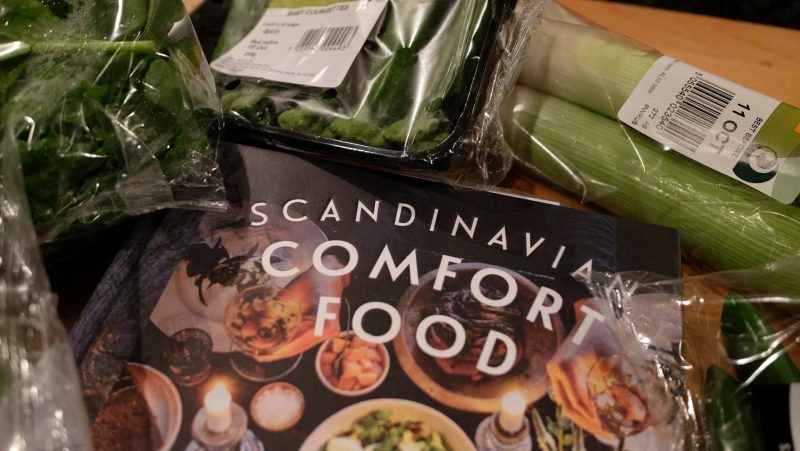 I thumbed through my Scandinavian Comfort Food Recipe book that they kindly sent to me, picked two recipes, sent a text to Mike’s brother to see if he wanted to join us with his girlfriend and put in a food order with Waitrose. Two days later, the delivery is in the fridge, the table is set and I’m flapping around wondering where an earth to start… a pint of cider was the correct answer to that! 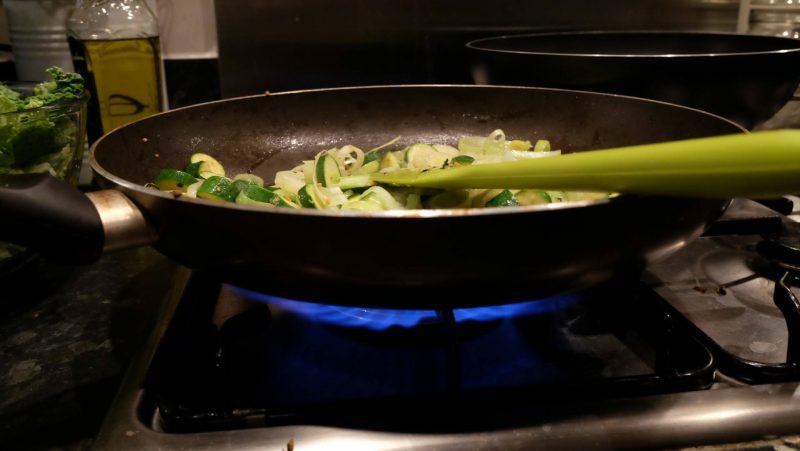 I’d chosen what I thought were two pretty simple recipes that wouldn’t take to long to whip up and impress my guests with! The first was a Lamb Bix Mix which I realised was a Scandinavian style Bubble and Squeak with lamb, potatoes and cabbage. I also worked out that this may be why I took so long to make it as I’m guessing if you have leftover lamb it would already be cooked rather than having to cook it from scratch like I did! You live and learn, right? The second recipe was what I wanted as a side dish as it just sounded bloody good! 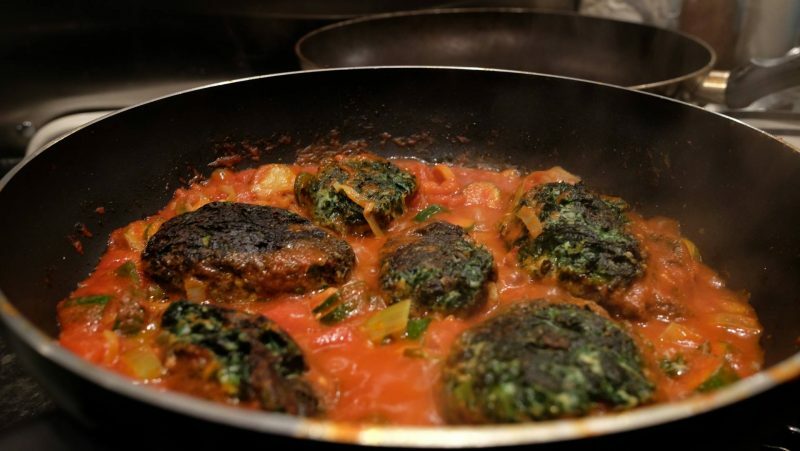 Spinach dumplings in tomato sauce made with ricotta so I was so all over that as I love cheese. I’d certainly make the dumplings again as they were so tasty and the sauce really complimented them! I have to say that the food took me nearly an hour and a half to prepare so it wasn’t as quick as I thought it would be! Having said that my guests were very polite about the time it was taking and were very complimentary about the food when it finally hit the table! 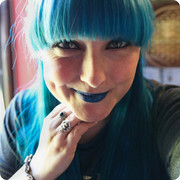 We also learnt a lot about Swedish etiquette as we really wanted the night to be authentic! I really liked some of their ideas such as not being allowed to sit down before the host says so which I loved as it meant I had people in the kitchen to chat to whilst cooking opposed to the others all sitting around taking it easy while I cook up a mess! The host also gets to dictate where you sit and they prefer it if you don’t sit with your partner so you mix more which is a fantastic idea so people don’t just sit and chat in there couples all night. I also really liked that the host will usually make the first toast with a glass of white wine and not until then should you even touch your drink so I got to dictate how quickly the drinks could start flowing! Luckily for my guests, I wanted my Rekorderlig cider pretty damn quickly so that was one of the first things to happen on the night! I was also very lucky that my guest were bang on time which is incredibly Scandinavian, it’s rude to turn up even a minute early. And at this point, they didn’t even know they were right on theme! I think I’ve learnt a hell of a lot about hosting dinner parties, one being that cider goes down a lot better than wine so that’s something I will be keeping to from now on!